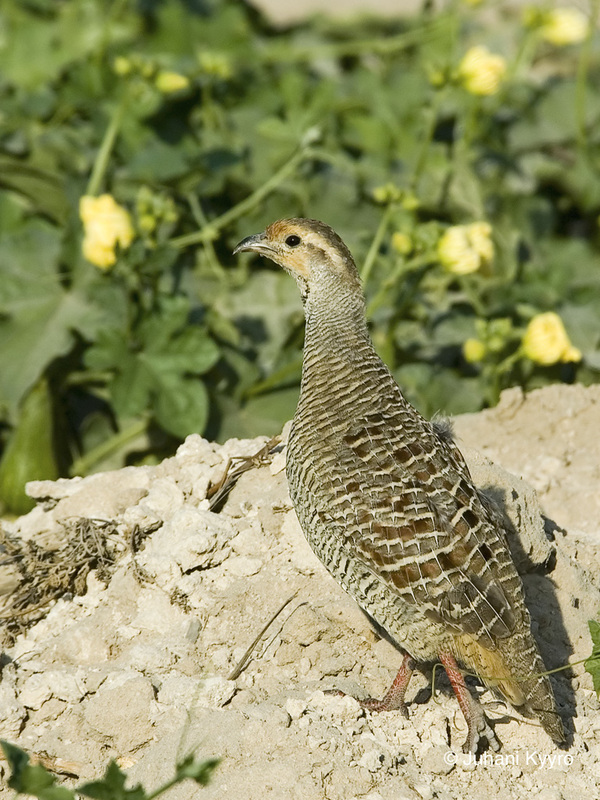 Description: Round, plump ground birds that inhabit cultivated areas such as gardens, famland and desert scrub where they feed on seeds and insects. They are loud and gregarious. 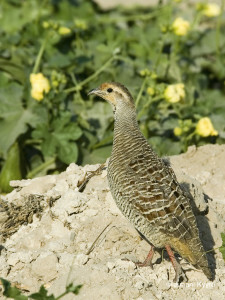 They Grey Francolin is not native to Bahrain; it was introduced throught the Indian sub-continent as food and quarry for Falcons and have become a well established part of the local avifauna.